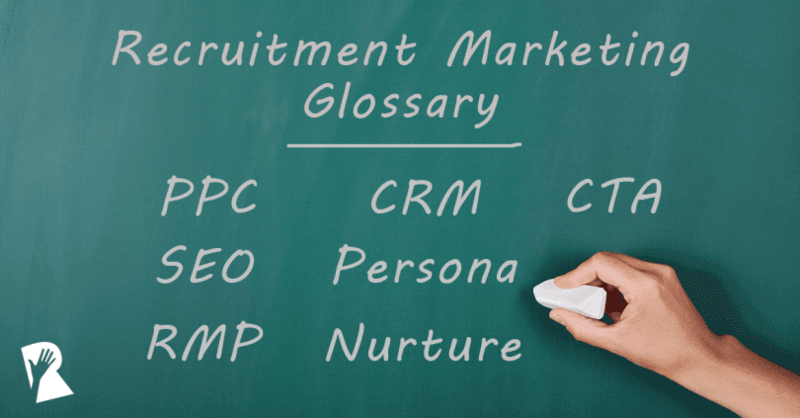 Here’s a glossary of key terms used in Human Resources, Talent Acquisition, Recruiting and Marketing that are relevant to practicing Recruitment Marketing. If you have a term you’d like to add, or a suggestion to improve our Recruitment Marketing Glossary, please Contact Us. Software that manages the process of recruiting, applying for a job and hiring a new employee. An instruction to your audience designed to provoke an immediate response. Typically invites someone who received your email or visited your website to click on a button that links to a web page, ask them to Subscribe or Download. 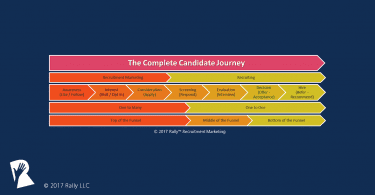 A candidate’s overall experience with your company from the beginning of their recruitment journey to the end. It includes every interaction, or touchpoint, that a candidate has with your company, from following you on social media to visiting your website to applying for a job and through the hiring process. A description of the different categories or types of candidates that you are recruiting. Includes personal and professional characteristics, that help you understand them better, where to reach them and how to communicate with them. Software for managing relationships with candidates, including their contact information and other data as well as their communication history with recruiters and the company. Website that presents a company’s careers and job opportunities. The behaviors and beliefs of the company’s employees that determine how they interact with others and how they operate as a business. Culture is how you describe what it’s like to work at a company. 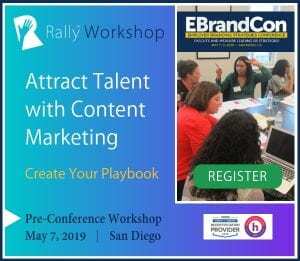 Content Marketing is the practice of creating and sharing content that’s valuable to the candidates that you want to attract, with the goal of getting candidates to take some action with your brand, like visit your career site or apply for a job. Content that is displayed on a website or in an email based on what you already know about the person, including their characteristics and their behavior. Content that tells the stories of your employees, either created by them or by you, such as videos, photos, testimonials, blog posts and employer reviews, that describe their experience working for your company. 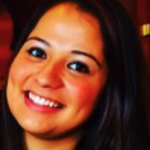 Employees who positively represent the company and who proactively share their experiences to help in recruiting. The process of promoting the value of your company as an employer. Your employer brand is the value proposition that your company offers to employees (what you say), and is the reputation that your company has as an employer (what others say about you). Employer branding includes authentically communicating your value proposition and trying to influence your reputation. How actively a candidate interacts with your recruiting communications and recruitment marketing content, such on your social media channels, emails or career site, measured by the posts they share, emails they open, pages they visit, content they read, etc. Content that stays relevant for a very long time and doesn’t typically have a date reference. The number of times that a web page or piece of content is visible and available for a candidate to engage with. Similar to Inbound Marketing, the practice of attracting candidates to you by discovering your content online. Any marketing or advertising tactic used to promote the availability of a job. Process of distributing your company’s open jobs to websites where candidates look for jobs and employers (often called job boards). Typically performed automatically by software such as an Applicant Tracking System or Recruitment Marketing Platform. Web page providing focused content that is designed to lead someone to a call to action (CTA). Someone who may be interested in employment with your company, now or in the future. Generally considered someone who has not applied for a job yet. Recruiting tactics geared towards attracting and engaging candidates via their mobile devices. Includes mobile optimized career sites, landing pages and emails, recruiting applications, text and mobile ads. 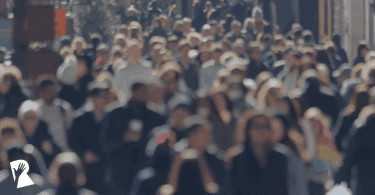 Marketing tactics that keep your company top of mind with a candidate and encourage a candidate to move to the next stage in the candidate journey. For example, sending the candidate regular emails with relevant content. Online advertising in which you pay for each click that your ad receives. A tailored experience for candidates based on their interests and behaviors, such as displaying dynamic content on a career site that is relevant to that individual candidate. Software that automates one or more processes used in marketing jobs to candidates. May include automating job distribution or job advertising. May also be a feature of other software. Software used to perform recruitment marketing tasks, including job distribution, career site management, candidate relationship management (CRM), and recruiting analytics and metrics reporting. May be a stand-alone system or integrated with an applicant tracking system (ATS). The practice of improving search engine rankings for your career site and landing pages. Search engine content is ranked based on relevance, including use of keywords and number of backlinks from other websites. Keywords or phrases that help candidates find your career site and landing pages when they search online. The practice of managing your company’s social media channels, such as LinkedIn, Facebook, Twitter, Instagram, Snapchat, etc. The goal is typically to increase followers and their affinity with your company, so they may consider you as a potential employer. Involves sharing relevant content and responding to comments from your followers. Discipline in which recruiters search for, identify and assess candidates through online searching and networking methods. A website and/or mobile application that allows job seekers to connect and communicate with one another. An employer’s database of leads / candidates who may be interested in future employment. Any interaction that a candidate has with your company or its employees during their candidate journey.